to drink gin and play snooker. and a dab of cheap perfume. of a speeding car, and roll away. she knows you by your smell. Paul Stephenson and I have been sending each other postcards with the implicit dare to try to write a poem about whatever is depicted--the stranger, the better. When I received this postcard advertising some kind of noir West End stage production called "The Bear", it set my head spinning. I wrote a very different kind of poem about a bear several years ago, a lament that became part of my first short collection Human Shade. 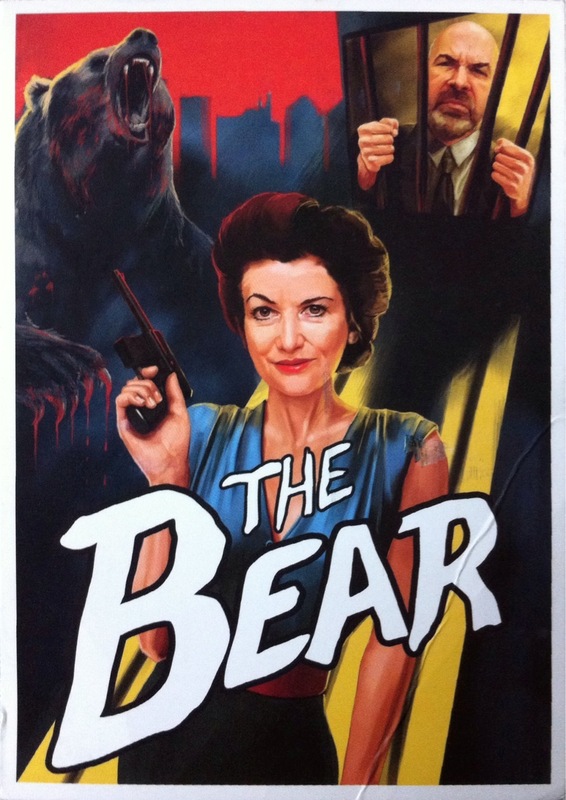 But the more I stared at this "dame" with a pistol in her hands, the more she and the bloody-clawed bear behind her seemed to fuse in my mind. 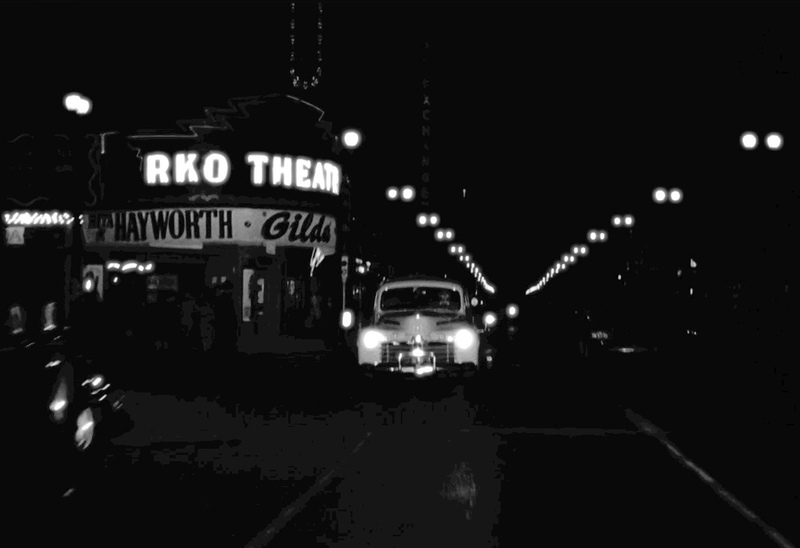 Valerie and I found some old excess footage, now in the public domain, from a Los Angeles film studio in the 1950s, and we put this together with road, wind, and bear noises as accompaniment. So this new film-poem was born. Categories: Poetry, Publications, and Video. Tags: Animals, Anthropology, Anthropomorphism, and Film-Poem. Poets: Paul Stephenson.